On October 27, Senior Bishop Thomas L. Hoyt, Jr. was called from his earthly home to his Heavenly reward. Bishop Hoyt was elected the Forty-Eighth Bishop of the Christian Methodist Episcopal Church in 1994 at the General Conference in Memphis, Tennessee. He was the Presiding Prelate of the Seventh Episcopal District which encompassed the New York –Washington Region and the Carolina Region. Senior Bishop Hoyt was married to Ocie (nee Oden) Hoyt, and was the father of two children, Doria and Thomas III. Additional information regarding arrangements will be disseminated when they are completed. We ask that you keep Mrs. Hoyt, the family and the Christian Methodist Episcopal Church in your prayers to strengthen them in this loss of one who knew God for His perpetual goodness to us. 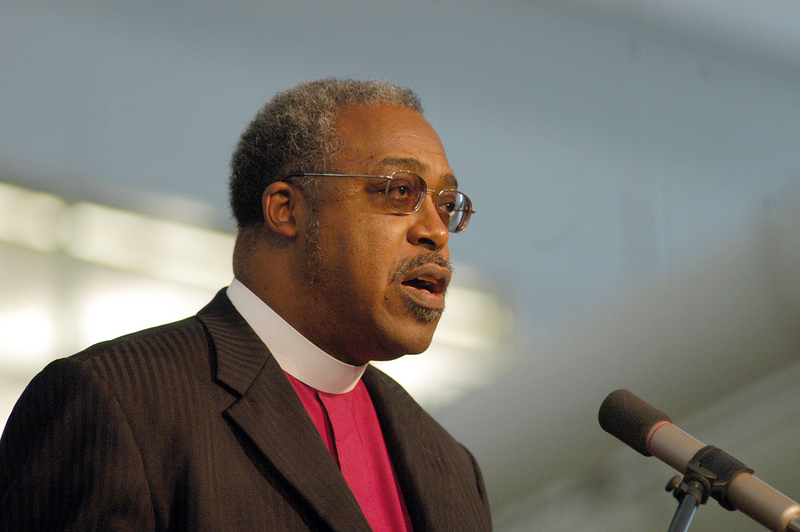 The Homegoing Celebration for Bishop Thomas Hoyt will be Wednesday, Nov. 6th at 11 am at the Cramton Auditorium at Howard University – 2455 Sixth St, NW, Washington DC. Viewing will be at the Auditorium from 9 am until time of service. The family has also planned an abbreviated Memorial Service for West Side Community CME Church, 2114 Martin Luther King Dr., Atlanta, Georgia, on Monday, Nov. 11th at 11 am, with interment to follow.